I always had the idea that relatives far away, abroad, can only be humans. However, there are exceptions. My resistance to the penguin lasted a week, which is quite an accomplishment. Finally, I could not listen Veronica´s noisy demands. So, we went to look at the penguin – just to have a look. Veronica was really enthusiastic. And even the owner of shop became enthusiastic. He realized that this was his once-in-a-lifetime chance. 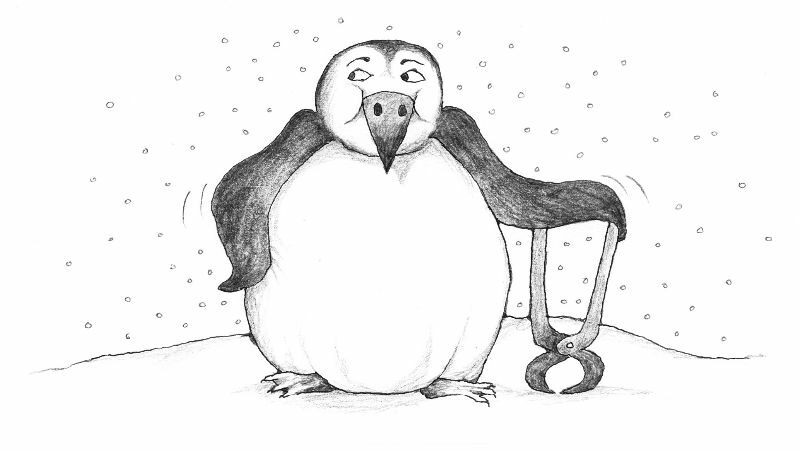 That penguin (who was, thanks to batteries, able to walk strangely, move his wings, and make some strange penguin-like noises) had been acquired by the owner in a temporary loss of business-sense. Veronica and I must have looked like heralds from heaven. 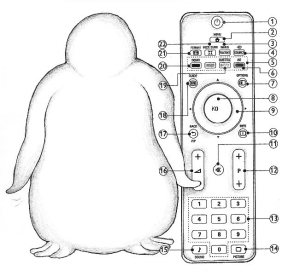 That seemed obvious with one look at the dust-covered penguin. But not necessarily a discount for us, since we had just come to have a look. 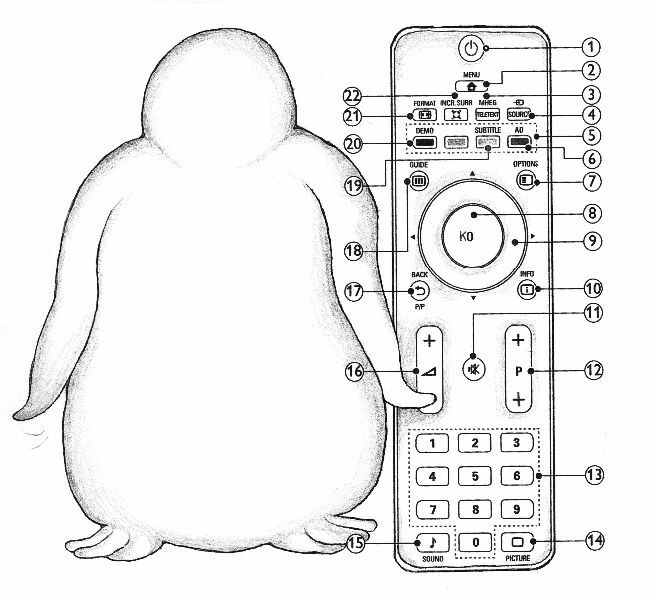 So, we had enough time to look at the penguin: how he walked strangely, moved his wings, and made some strange penguin-like noises. I found nothing especially attractive in that. But Veronica and the shopkeeper were pretty excited. But that was not all. „But that is not all,“ the owner said dramatically when the penguin finished his walking, moving and quacking parade. „This,“ said the owner mysteriously, taking the innocent penguin in his hands, „this is – male! And I also have a female!“ He took from somewhere in the storeroom a paper box and pulled out a penguin exactly like the one from shelf. He placed them next to each other. Veronica and I looked at each other with silent amazement – a penguin farm in the Orava mountains? Little plush penguin babies easily and quickly?! Before I would totally lose contact with reality, I sternly expressed my decision that this penguin wedding will take place only over my dead body. Little Veronica did not hesitate for long and firmly expressed her decision that if we did not buy at least one of those penguins, I could count on seeing her dead body as well. The owner had already been near death from that whole stressful business. All this face to face with two penguins who are endlessly able to show how they walk strangely, move their wings, and try to express themselves in their own, genuine electric language. I consider as a big victory for rational thinking that we bought only the female penguin (the one not covered by dust). Please, do not try to remind me that we came just to have a look. The result was a clear compromise. From a book (see in E-book form here) by Gustáv Murín: Svet je malý/The World is Small – collection of travel stories in bilingual Slovak–English edition, SPN Publ., 2012.